New 4-week Beginner's Improv Class starting 10 April at The Nursery! The Nursery ‘Making a Scene’ courses are groundings in the core principles and techniques of improvisation. In a supportive, fun environment, you will be guided through improvised scenes and games in a way which is accessible and friendly, whatever your background. You will create characters and stories both realistic and bizarre and find how the fun can come slowly and organically or quickly and impulsively. And you will laugh long and hard. Guaranteed. ‘Making a Scene’ courses are all open to beginners, and each one has a different skill focus, meaning you can take one course in isolation, or come back over and over again to add new tools to your tool belt. These courses will provide you with a wide variety of techniques to help make scenes easy, relaxed and delightful by creating quick agreement and playful, hilarious cooperation. You may find yourself more confident, creative and open outside the class as you discover how the application of improv principles makes life just a little more easy and fun. And no, you don’t have to be funny. Come as you are and we’ll do the rest! A different way of starting improv: ‘Making a scene’ course topics. 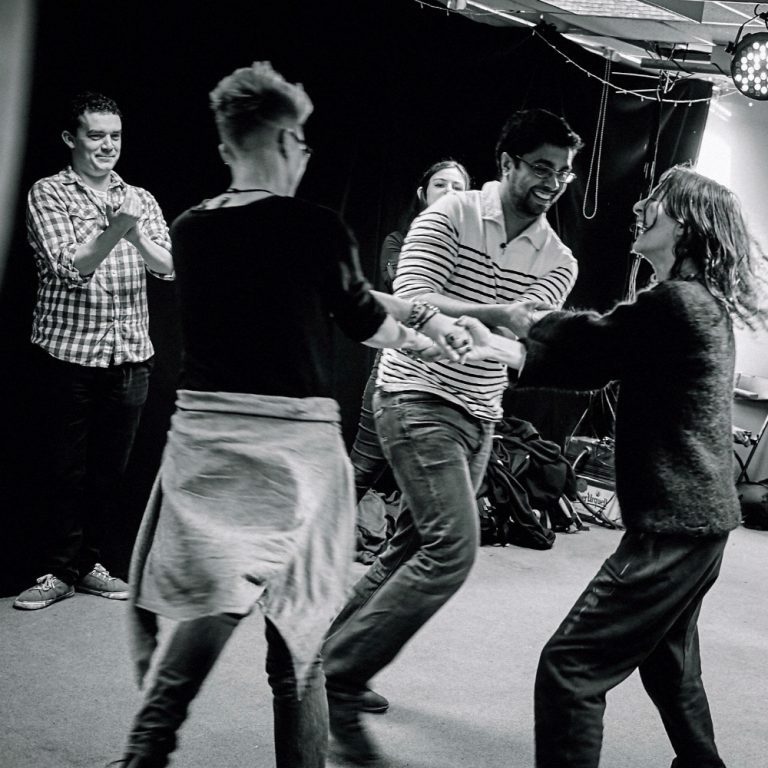 All courses are beginner friendly and can be taken in isolation, or a sequence, building and deepening your understanding of improvised comedy and theatre. Playing from Nothing (4 Tuesdays from 10th April) – Why take a suggestion? This short course examines scenes without a suggestion and introduces different techniques to create varied, inspiring scenes with nothing from the audience. The Nursery style of improv is founded on an emotional, theatrical style of play. You don’t have to be an actor to play like this, though it might make you into one! We believe that everyone can be an artist and it will add to your life whether you are a programmer, a nurse, a homemaker, a student or none of the above! You don’t have to have any experience of comedy, theatre or any art-form to begin. The Nursery improv courses will help with your creativity, confidence and performance skills. You will meet new people and have a tonne of fun! At the Nursery, we are heavily influenced by the emotional truth of iO (Chicago, IL), the delight and theatricality of the Hideout (Austin, TX) and the freewheeling play of Will Luera’s freeform as performed in Boston and more recently in Florida. This course is suitable for those who have done some improv before and would like to ground themselves in a different style of scenework. It is also a great refresher for those who have done some improv before. If you are unsure whether this is the course for you, or have any questions drop us an email on jules@thenurserytheatre.com. The course costs £85 for four evenings 7-10pm. We also offer diversity scholarships for those who are underrepresented in the improvisation community or who would be unable to afford the course.